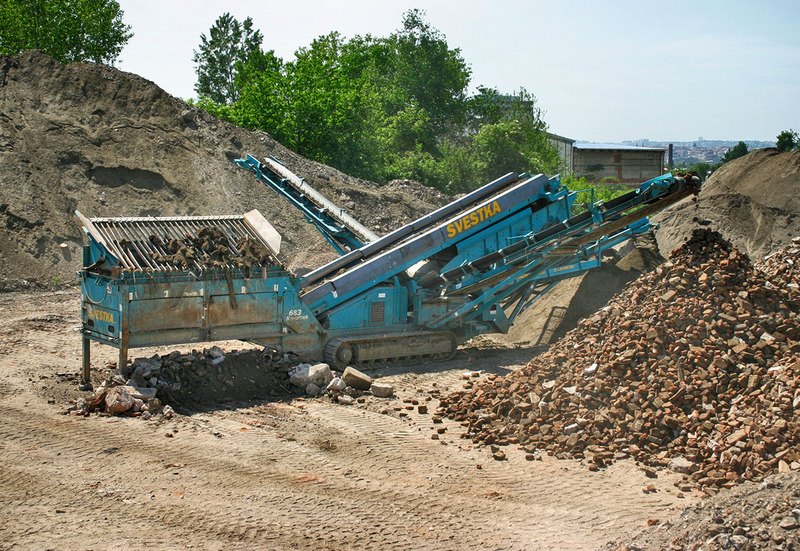 Recycling equipment | Pavel Švestka, s.r.o. 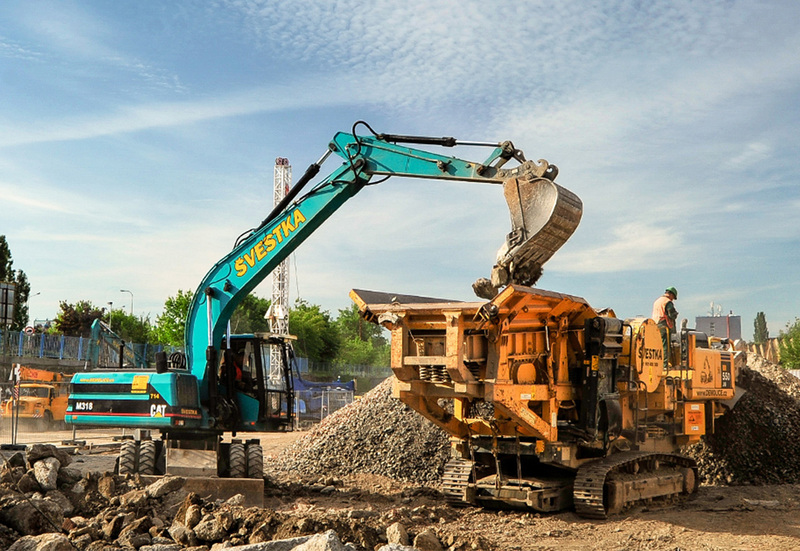 We provide the recycling of construction waste generated by the demolition activities. We ecologically process and sort the waste, such as e.g. 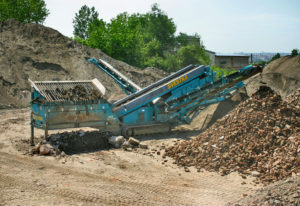 various types of debris, aggregates etc. We thus spare new source materials, which are often produced in a non-environmentally friendly way, and also the use of recycled materials brings very positive effect to the construction costs. 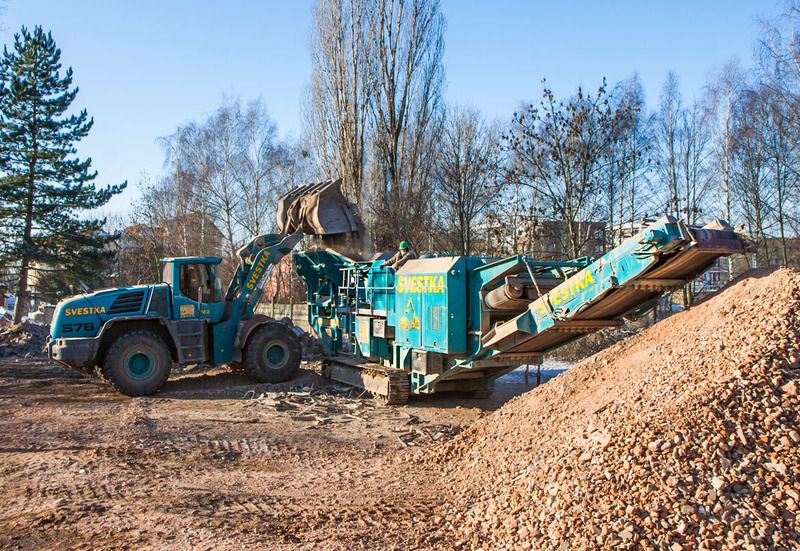 Thanks to our modern machinery, we can offer to the customer recycling in the place of the demolition using mobile impact or jaw crushers and sorting the source materials into various fractions using mobile sorters. This way it is possible to spare large financial resources for transport and fees for storage at the waste dump.We do all the disposal of construction waste according to the waste regulations and with emphasis on the environmental protection.